Can I take a moment for one collective pat on the back? MedVet has been named one of Central Ohio’s “smartest” organizations by Smart Business Columbus. And our president and Chief Medical Officer, Dr. Eric Schertel, has been recognized as one of the region’s top executives. The entire MedVet team joins me in congratulating Dr. Schertel. We have long recognized his ability to effectively build and lead our organization. We are glad that an independent, impartial group feels the same way. 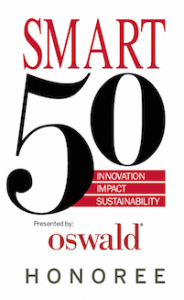 MedVet’s innovation and use of cutting-edge diagnostic tools and advanced treatment options contributed to our selection to the Smart 50 list. We were assessed in areas such as impact to the community, growth, expansion, staff development, and differentiators in a variety of specialty areas. 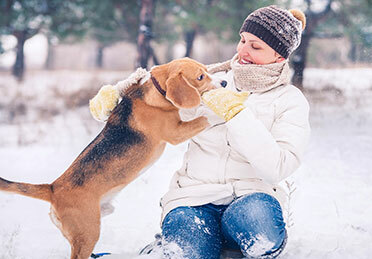 We were also glad that the awards committee recognized that we operate one of the nation’s leading Clinical Studies Centers, and are often the only companion animal hospital in a region to offer groundbreaking treatment. We don’t do what we do for the accolades. Working together with our referral partners to achieve a common goal of excellence in patient and owner care remains our primary mission. Nevertheless, it is extremely rewarding to be recognized and acknowledged as a leader in your community. This award speaks to our dedicated group of doctors and staff who make it happen every day.